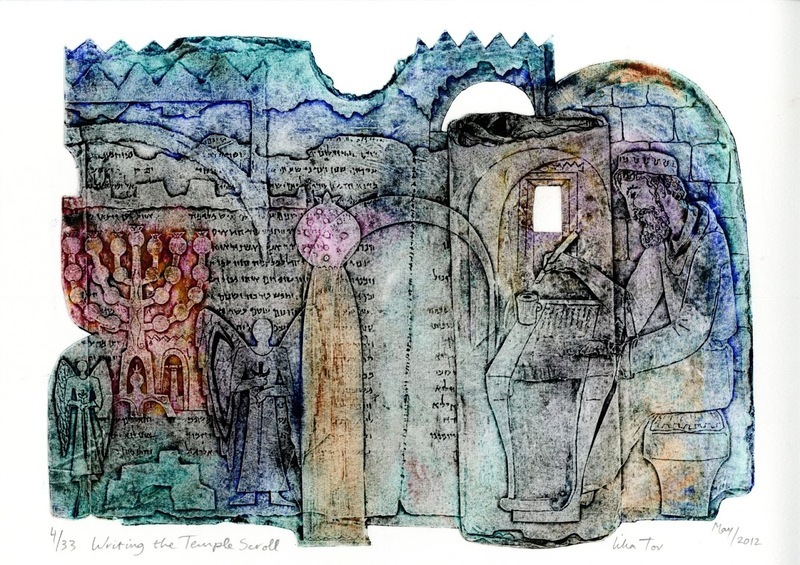 Lika Tov, a Holland-born Israeli artist, has used the Temple Scroll in this collograph work to re-imagine the scribe at work on the Temple Scroll manuscript at Qumran. The scribe occupies the right half of the image, while the left side depicts his imaginings about what the future Temple may look like. A menorah forms the basis of this future Temple, which is guarded or protected by angelic beings.